Diorama of the World Cruisers at Seward, Alaska. 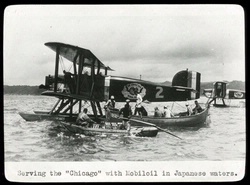 This 1/72 scale diorama depicts the four Douglas World Cruisers at an April 1924 refueling stop in Seward, Alaska, during their round-the-world flight. 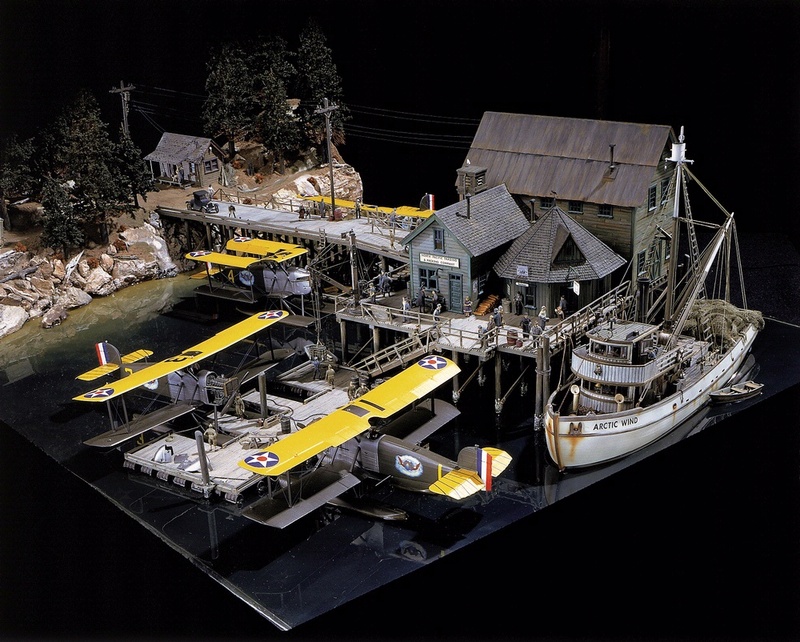 The diorama was constructed by father and son master modelers Larry and Jamie Pye. Larry was a gunner on Halifax bombers in the RAF during WWII and Jamie had just received his degree in aeronautical engineering when they made this diorama. It took 2 1/2 years to complete. Find out more about Model of the World Cruisers .